Join us for our first Table 40 event of the fall as we welcome local restaurant reviewer Anne DesBrisay! 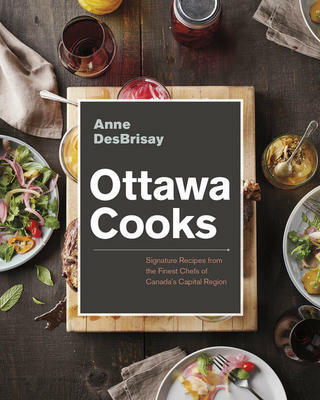 Her new cookbook, Ottawa Cooks, features recipes and stories from some of our Nation’s Capital’s most famous chefs. Tickets are now available through the bookstore! Call or visit us to reserve your spot today! It is the spring of 1941 and although the British raids over Germany had intensified, there was general concern that the British were losing the war. Some of the aircraft were badly damaged on the way home and came down in the Occupied Zone of France. Here they were hidden by small groups of French men and women who helped the pilots get home to England, where they were badly needed to fly again. This was the beginning of what came to be known as the French Resistance and this new book by the renowned spy novelist, Alan Furst, gives a thrilling account of what this Resistance was able to do. The hero goes by the name of Mathieu. He works out of Paris which is occupied by the Nazis, and heavily shuttered by night with the streetlamps painted blue and windows shuttered in a heavy blackout. Mathieu and his network also work from neighbouring farmhouses, barns and churches. The story is thrilling and the relationships very real and touching, heightened by the constant fear of discovery. 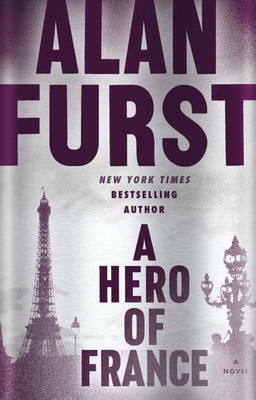 A Hero of France joins the list of Alan Furst’s legendary thrillers, many of which, such as Midnight in Europe and Mission to Paris, were bestsellers. Furst was born in New York, lived for many years in Paris and now lives on Long Island. 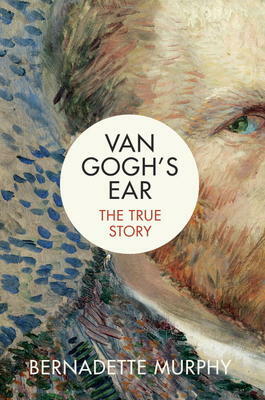 This is a book on Vincent Van Gogh, with a new look at the troubled artist. Bernadette Murphy is an English writer who went to live with an older brother in Provence, France, thirty years ago. 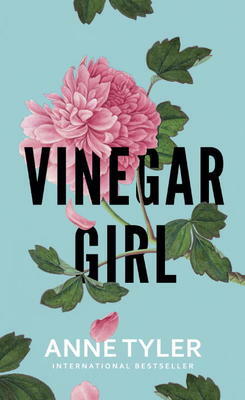 She had already researched her own family tree and while in France became interested in the story of Vincent Van Gogh. She gets to know the ancient city of Arles where he lived from February, 1888 to May, 1889. Van Gogh was born in Holland, in 1853, to the Reverend Theodorus Van Gogh and his wife Anna Cornelia, one of seven children. As a youngster his contemporaries describe him as peevish, intense, and quick to anger. The mental problems continued, and were not treated in those days. He tried church work, following his father, and had great care and kindness toward those in difficulty, something he kept all his life. He was not accepted by the church, however, and started painting, encouraged by his brother Theo who was an art dealer and devoted to his brother all his life, as we know from his letters. Vincent moved to Arles and set himself up in what would become famous as The Yellow House, and set out to paint full time. At one point the painter Paul Gauguin came to live with him. He was lonely, however, and one day in deep distress, cut off his ear and gave it to a prostitute who lived in a nearby brothel. Murphy does a thorough job of investigating this whole incident, from reports by the police officer to documents from Gauguin, Theo, and others. We are left with the marvelous illustrations in this book and the record of a mentally disturbed artist who didn’t sell a single painting in his lifetime but left so much beauty to the rest of us. The days are getting shorter, the sun is beaming down, and the cicadas have taken center stage to perform their seasonal evening set – it’s not hard to tell it’s August. After all the jet-setting and world-traveling that you no doubt did in the first couple of months of the summer, that backyard hammock and dockside Adirondack chair are looking like pretty nice places to just sit, relax, and enjoy the summer breeze. While that scenario sounds wonderful, we can think of one tiny addition that would make it absolutely ideal – a great book! The summer might be winding down, but that doesn’t mean that book releases are slowing down at all. We’re still getting lots of new, exciting, titles tumbling into the store every day. When sweetness and romance are the order of the day, Jeffrey Bartsch’s Two Across is the perfect fit. Full of the trials and tribulations of first love, Stanley and Vera will charm any reader with their wit, their intelligence, and their undying love of crossword puzzles. Sarah Maine, a debut author who spent part of her childhood in Canada, has a style that’s been described as “Kate Morton meets Daphne du Maurier.” The House Between Tides features not only an old family estate, some unidentified human remains, and the forgotten history of an intriguing turn of the century artist, but our heroine inevitably stumbles across a hundred year old mystery that will cause more than ripples in the surrounding community. Mystery fans rejoice! It is almost time for the new Louise Penny book to hit our shelves! While you’re waiting for A Great Reckoning to arrive towards the end of August, why not take comfort in Penny’s newest paperback Gamache novel, The Nature of the Beast? Alternatively, Maureen Jennings’ new Inspector Tom Tyler mystery has just arrived, hot off the press. Dead Ground In Between is the fourth book in the series, appearing hard on the heels of its predecessor, No Known Grave. On the adventure side of things, Dave Eggers’ new novel, Heroes of the Frontier, is a contemporary family story which takes us on a journey through wildfire-plagued Alaskan wilderness. With a beautiful jacket sure to catch your attention, Dancing with the Tiger is Lily Wright’s debut novel after years of non-fiction writing. Set in Oaxaca, this witty, thrilling, sophisticated novel is full of discredited art collectors, sinister artifact dealers, mysterious painters – the perfect story to get lost in. For some of us, it can be just as satisfying to get lost in a good non-fiction book instead of a novel. If you can’t physically get lost among the glens, hills, and vales of the British Isles, why not let Robert Macfarlane help your mind do the wandering instead? Landmarks, the newest release from this bestselling author of The Old Ways, takes us on a meandering linguistic tour through the various communities and cultures that make up this multi-faceted European gem. With a slightly more concentrated eye, Ted Sandling’s newest book, London in Fragments, carries readers along the banks of the mighty Thames, uncovering precious bits and pieces of London’s history – from ancient Roman tiles to Georgian pottery. Skipping across the Channel, Van Gogh’s Ear by Bernadette Murphy is a brand new book that sets out to discover the mystery behind this beloved artist’s most famous act: the severing of his own ear. A compelling story of love, madness, and obsession, this is a great read for art and history lovers alike! Of course, no newsletter would be complete without mentioning the highly anticipated (and hot off the press) addition to the Harry Potter canon, Harry Potter and the Cursed Child. Unlike its predecessors, this new Potter book is in fact a bound screenplay of the new play by John Tiffany, Jack Thorne, and J.K. Rowling that just debuted in London. As such, it offers not only the same appeal as Harry’s previous adventures, but gains a certain sophistication that Potter fans will surely appreciate. Here are some more titles to keep an eye out for as the month progresses: Three Sisters, Three Queens by Philippa Gregory, the newest historical novel about Henry VIII and his many wives; By Gaslight by Steven Price, an intriguing historical thriller for fans of Eleanor Catton’s The Luminaries and Patrick DeWitt’s The Sisters Brothers; and Serial Monogamy by Kate Taylor, a novel about a woman who finds comfort in her newest writing project even as she tries to deal with a cancer diagnosis and mend the rifts in her marriage – it hasn’t even been published yet, and it’s already a staff pick! Even though we’ve only just entered the eighth month of the year, some of us have already turned our eyes to 2017. If you count yourself as part of that group, why not come by the store to see the 2017 calendars that are already gracing our shelves? From New Yorker Cartoons to Edward Gorey Art, Mom’s Family Calendar to Inuit Art of Cape Dorset, there’s a little something for everyone! Whether you’ll be spending these dog days of summer hiking through a national park, lounging by a pool, or just hanging out in the dappled sunshine with your pooch, we hope your backpack and beach bag are playing host to at least one reasonably-sized tome of infinite knowledge and entertainment. Be prepared for any eventuality – pack a book! Happy August and Happy Reading!